It’s beginning to look a lot like Christmas! This weekend begins a long line-up of winter festivals until the end of winter. The only thing we’re missing is _____. I’ll leave that up to imagination. Here are some events this weekend. It’s a mouthful but it’s a whole lotta fun as the annual Christmas tree gets lit up in Churchill Square. Organized by the Downtown Business Association, there will be family fun (including family-friendly burlesque) after the City Market closes with extended hours. Fireworks will launch as the tree is lit up. Food bank donations will also be accepted on site. To get here, take Exit A1 at Churchill Station. Don’t let these reproductions of Vincent Van Gogh’s work fool you into not seeing these masterpieces. The works were technologically reproduced to the same textures, paints, colours, and frames by advanced scanners and were approved by Van Gogh curators and the family as the most authentic reproductions as possible. Vincent Van Gogh’s grand-nephew Willem Van Gogh even came to Edmonton for the traveling museum currently at Southgate Centre. For less than a meal at the food court ($5 for age 11+), it’s well worth the art excursion. Guided tours with admission at 2pm and 4pm daily. To get here, take Exit A2 at Southgate Station. 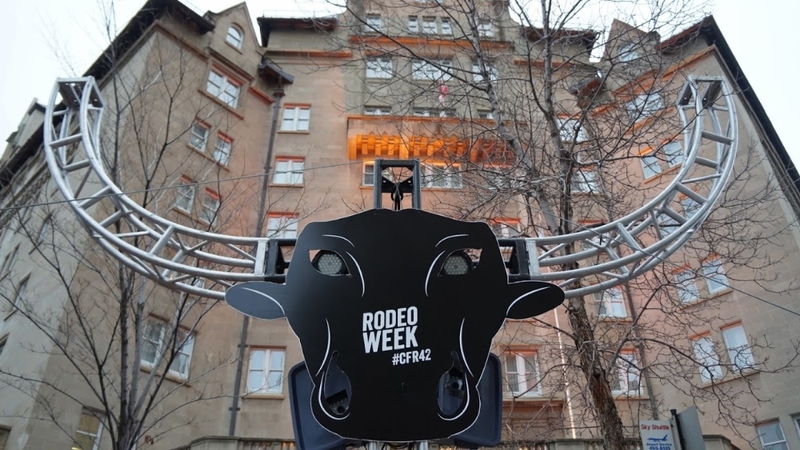 There’s still time to catch CFR Rodeo Week events if you haven’t attended any yet. The TD Concert Series happens every evening at 10pn. See Terri Clark (Nov 12), The Road Hammers (Nov 13), and former Default lead singer Dallas Smith (Nov 14) perform. Farmfair International is a huge agriculture show at Northlands happening during Rodeo Week as well. Not only will you learn about farms and ranches, but you’ll be able to taste the farm as well with their food lab. Free cooking lessons are also on site. It runs from Nov 11-15. Family day for all ages is on Nov 15. To get to the Northlands Expo Centre, take Exit D at Coliseum Station, turn right, and proceed up the stairs through the gate.